The treatment of employees in public services who have raised concerns about wrongdoing has often been “shocking”, a group of MPs has said. The Commons Public Accounts Committee said whistleblowers had often been subjected to bullying and harassment. Its report called for whistleblowers to be offered legal and counselling services and for “swift sanctions” to be imposed on staff who victimise them. The government said it was acting to ensure people felt free to speak out. The report highlighted the “important” role whistleblowers had played in uncovering details about the Hillsborough disaster and the Mid Staffordshire NHS trust scandal. The Commons Public Accounts Committee said whistleblowing was a “crucial source of intelligence to help government identify wrongdoing”. However, it found there had been a “startling disconnect” between policies encouraging whistleblowers in theory and what happened in practice. The report said it had “heard of too many cases of appalling treatment of whistleblowers by their colleagues”. Officials who tried to raise concerns often had to show “remarkable courage” in coming forward, it added. The report highlighted whistle-blowing in relation to the Hillsborough disaster, where 96 Liverpool football fans lost their lives at an FA Cup semi-final on 15 April 1989. Prime Minister David Cameron later apologised for the “double injustice” of the disaster, after an independent report published in 2012 showed police and emergency services had attempted to deflect the blame. 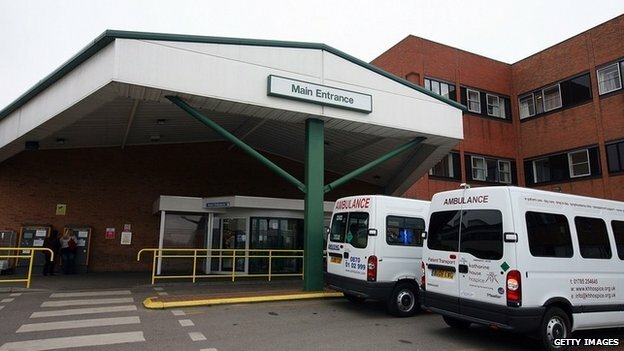 It also highlighted the Mid Staffordshire NHS scandal, where staff at Stafford Hospital had blown the whistle on “appalling care” between 2005 and 2008. The committee heard from Kay Sheldon, a member of the board of the Care Quality Commission, who the report said had been “victimised” by senior officials after she tried to raise concerns about the way it had been operating. The report said no-one had faced any form of sanction over her treatment. Labour MP Margaret Hodge, who chairs the committee, said a “positive approach to whistle-blowing should exist wherever the taxpayer’s pound is spent”. “However, far too often whistleblowers have been shockingly treated, and departments have sometimes failed to protect some whistle-blowers from being victimised,” she said. “Civil service staff should be given a “route map” of how to highlight issues, while the Cabinet Office should set out “how it will ensure whistleblowing policy and practices receive the strong leadership they need”. A government spokeswoman said: “All civil servants must be able to raise concerns so that poor services and inefficient operations can be identified and acted upon. “That is why this government is ensuring people feel free to speak out. Awareness of how to raise a complaint has risen by 20% and two-thirds of civil servants feel that any complaint will be investigated properly. If any member of staff blew the whistle in Morecambe Bay senior management must have succeeded in silencing them. Probability is that no-one dared. NHS staff need evidence that the leopards have changed their spots. Actions, Mrs Hodge, not words! ”a positive approach to whistle-blowing should exist wherever the taxpayer’s pound is spent” says Margaret Hodge, PAC Chair. Does this mean that Mrs Hodge has cottoned on and at last is now willing to listen? I have been blowing the whistle to her, members of her committee and her predecessor for over four years about how the taxpayer’s pound was MISSPENT in Morecambe Bay. Why has she, so far, proved unwilling to address the issues involved in the prolonged financial irregularities relating to the former chair of Morecambe Bay Hospital’s lead commissioners? If Mrs Hodge is genuinely concerned she should be calling for a thorough investigation of how these irregularities were allowed to continue for eight years and she (and the PAC) should require answers from those who aided, obscured, ignored, denied or benefited from payments by NHS Trusts to the PCT chair’s private company?